Due to the early releasing of Ocarina of Time 3D in Australia, as we pointed out earlier in this article, Nintendo has cancelled the Ocarina of Time 3D release party that was to take place in Swanston Street. As the game was released by GameTraders earlier than Nintendo had planned, many people had bought their copies of Ocarina of Time 3D as soon as they could, and as a result, Nintendo felt no need to continue the plans for a launch party. Well, at least what everyone thinks is the reason for the cancellation. Nintendo released an official statement that stated that it was cancelled for “unforeseen circumstances.” Head inside for Nintendo’s Official Statement and some of my own comments. We apologise for any inconvenience this may cause. We hope you all enjoy The Legend of Zelda – Ocarina of Time 3D in breathtaking glasses free 3D. 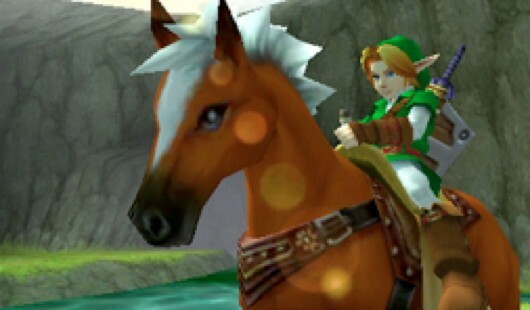 The Legend of Zelda – Ocarina of Time 3D launches 30th June only on the Nintendo 3DS. I personally think that it isn’t fair that here in America, we got some awesome parties like our own Trevor was able to attend. It also certainly isn’t fair that they cancelled a party that was already scheduled and made official. However, Nintendo is correct with their decision, as it isn’t necessary for them to throw a party for something that people already have. Even though this is fair and probably the most correct path to take, Nintendo should still throw a party for their fanbase in Australia anyway. If it weren’t for GameTraders, there would still be plenty of reason for Nintendo of Australia to throw the party, as Australia always gets things much later than Nintendo and Europe. So, what do you think about Nintendo’s decision? Would you have continued the party, or would you have saved the money to spend on other things? Do you think that GameTraders is partially to blame, or do you think that there were other types of unforseen circumstances? Let us know in the comments!